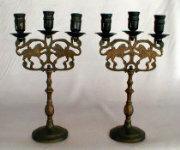 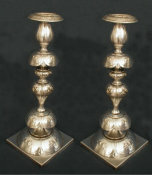 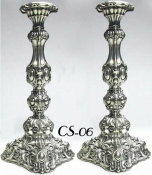 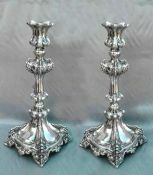 10 1/2" Polish Sabbath Candlesticks, made by Norblin & Co. Warsaw. 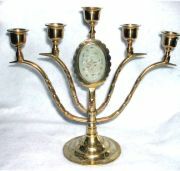 Mid 19th Century, c. 1840. ht: 10 1/2". 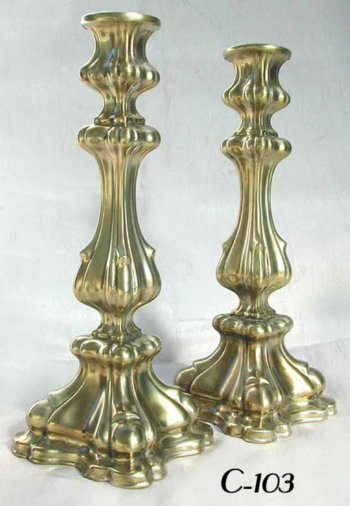 Heavy voluted baluster stem rises from voluted square base. 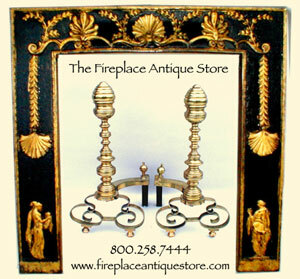 Beautifully shaped with heavy lobes. 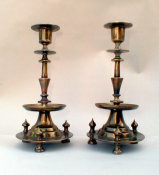 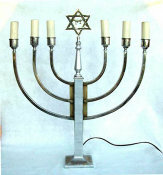 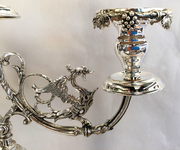 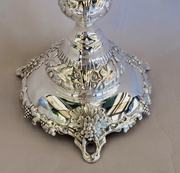 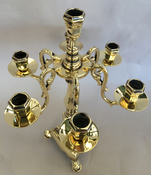 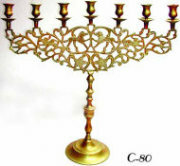 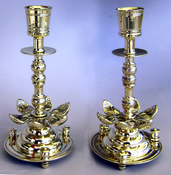 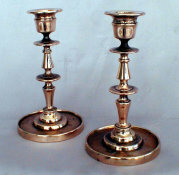 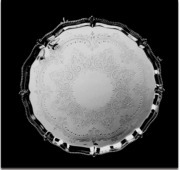 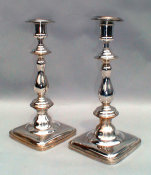 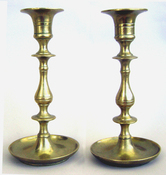 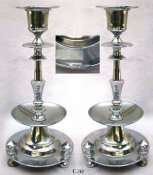 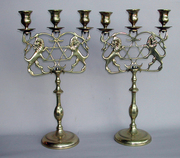 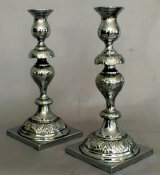 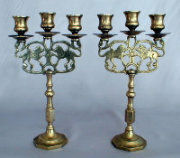 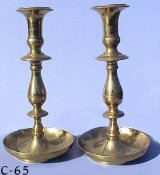 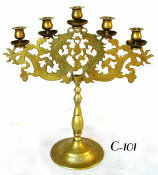 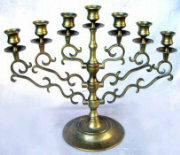 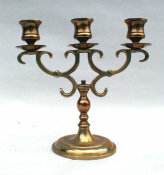 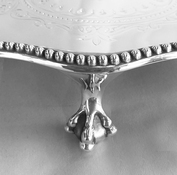 The candle holder of similar form.